Which Is the Best Value Toilet Paper? This is the third post in my series about toilet paper. 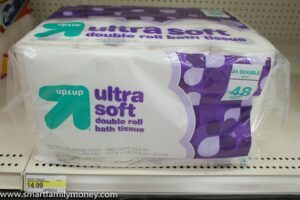 If you’d like to read a summary of all of my findings, check out my ultimate guide to cheap toilet paper. You may be wondering why I’m so obsessed with toilet paper. Well, for years I have been ordering Cottonelle CleanCare toilet paper from Amazon because it was a good price and my family liked it. This year, a Costco opened near my house and I got a membership. Since I’m new to Costco, I’ve been asking people about their favorite things to buy at Costco. Several mentioned the Kirkland Signature toilet paper, so I gave it a try. Well, we didn’t really like it. That got me thinking about how lots of people wonder about generic toilet paper. 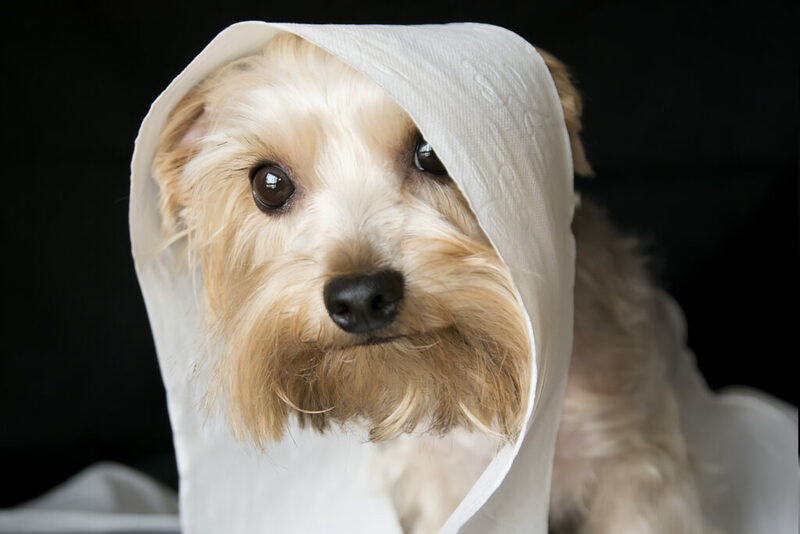 Often, they are afraid to give them a try, because they might get stuck with a huge package of toilet paper that they hate (like we did!). I decided the world needed a toilet paper investigation! 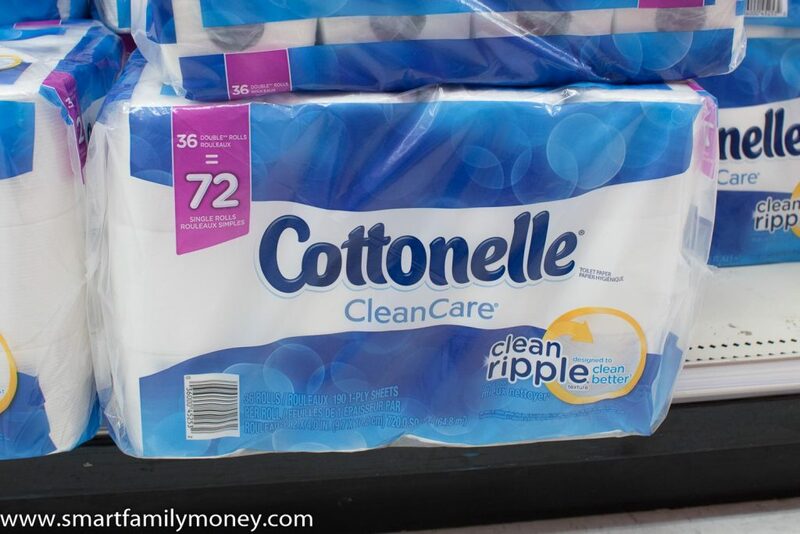 In my first post, I looked at where to buy the cheapest Cottonelle toilet paper. In the second, I sought the cheapest Charmin toilet paper. Now, I’ll investigate which is the best generic toilet paper and compare it to the brand names. In order to reduce the length of this post, I explained my toilet paper testing procedures in a separate post called Science Experiments with Toilet Paper. I did my best to use as many objective measures to compare the brands. Before I get into the data about the generic toilet paper, we need to establish a baseline with some brand names. If we’re being very science-like, this is our “control group”. I chose Charmin because it seems to be the most popular and Cottonelle because that’s what we’ve used for years. Once we establish the performance of the brand names, then we can compare to the generics. Cottonelle CleanCare is actually the only single ply toilet paper I looked at. For the generics, I tried to choose the most luxurious options and they were all 2-ply except for one 3-ply. Cottonelle was in the middle on almost all of the tests. It was completely unremarkable! The only exception was dissolvability. It took almost 60 seconds to dissolve, compared to less than 10 seconds for the best dissolving papers. This is concerning and might convince me to switch from my preferred brand, despite its attractive price. Cottonelle is a good value, but it dissolves slowly. The ratings are probably no surprise to all the Charmin Ultra Strong lovers out there. They all tout its strength, thickness, and comfort. I agree! I was very impressed with it and actually considering buying it for our household if the price was right… until I saw the dissolvability test! Holy cow, it was bad! Charmin Ultra Strong DOES NOT DISSOLVE quickly at all. I let it spin around in there for 90 seconds and it was still in large pieces. 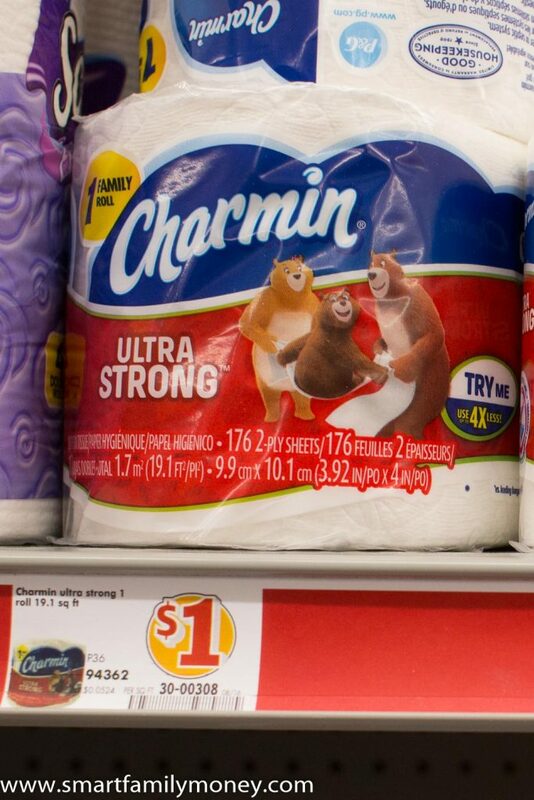 Some people love their Charmin Ultra Strong so much, they buy it by the single roll! 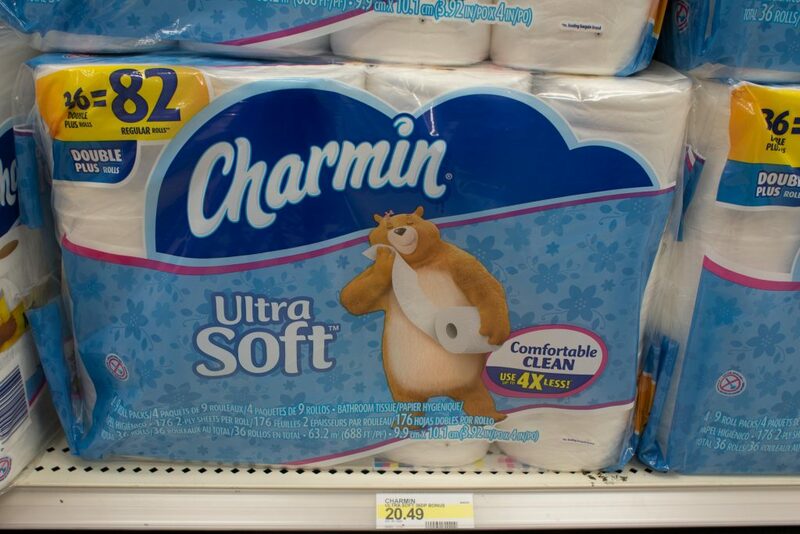 It’s all really great or really bad with Charmin Ultra Soft! It’s incredibly thick, soft, absorbent, and comfortable. In fact, it has the only “high” rating for absorbency in everything I tested. Like Charmin Ultra Strong, the lack of dissolving was SHOCKING. For the love of your plumbing, DON’T USE CHARMIN. Seriously, this feels like a disaster waiting to happen. The other shockingly bad thing about Ultra Soft was the lint. Wow, the lint! Unless you want clouds of lint floating around your bathroom, I would suggest that you steer clear of Charmin Ultra Soft. Charmin Ultra Soft is luxurious but expensive, very linty, and rough on your plumbing. On Charmin’s packaging, it says that it is safe for septic systems. After seeing how it behaves, I can’t really believe it’s a good idea. Test it yourself if you don’t believe me! In my surveys about toilet paper, a number of people mentioned that Charmin seemed to clog their toilets more frequently than other brands. I would be VERY cautious using it with older plumbing or a septic system. I’m not a plumbing expert, but it seems like using toilet paper that takes more than 10x longer to dissolve than other brands is a bad idea. 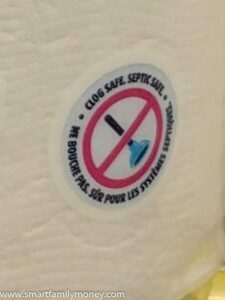 This symbol on the Charmin package says “Clog Safe. Septic Safe.” but I am skeptical! Which Is the Best Generic Toilet Paper? 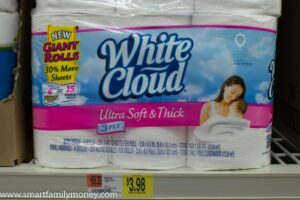 I specifically looked for White Cloud Ultra Soft & Thick because it was rated #1 by a popular consumer magazine a few years ago. I expected to be amazed by its quality, but I thought it was terrible! I suspect that the product has changed significantly since those ratings were done. It’s thin, weak, not very soft, and generally cheap-feeling. I can’t believe it’s 3-ply. To make things worse, even at it’s best online price, it’s more expensive than Cottonelle, even in store at Walmart! 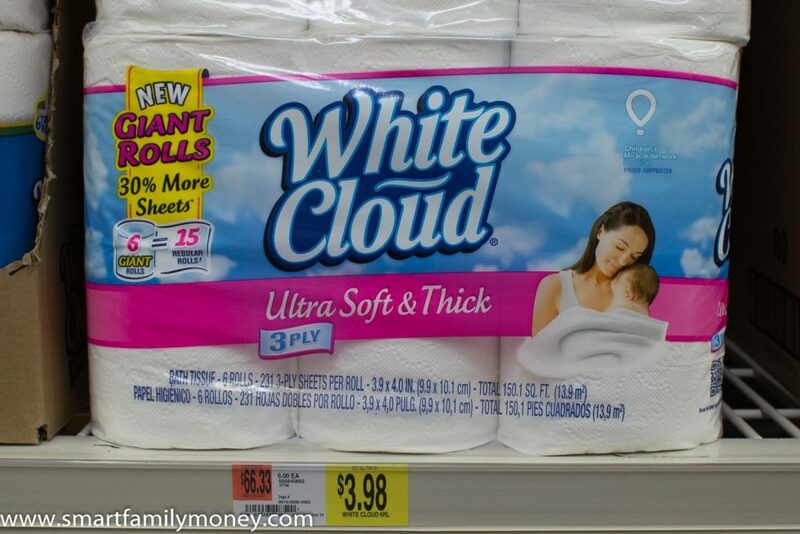 In my opinion, White Cloud was neither soft nor thick! It’s also not a good value for the money. I liked the feel of the Up & Up toilet paper. It’s soft and kind of fluffy-feeling. 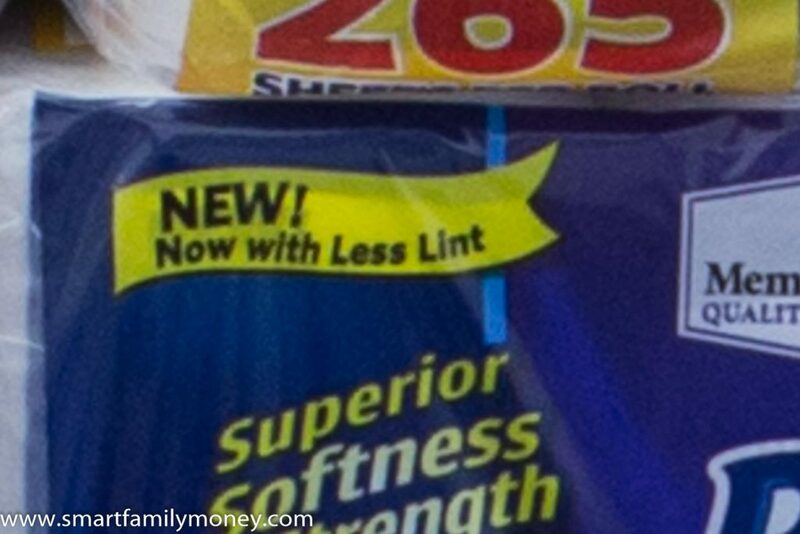 It’s probably the most similar to Charmin UltraSoft of the generics I tested. I was pretty pleased with this toilet paper until I calculated the price. It’s actually the MOST EXPENSIVE toilet paper I tested! It’s even more expensive than Charmin (when bought at a wholesale club). The package I bought in the Target store actually came out to $3.79 (per 1,000 sheets) and I could have bought Charmin in the same Target store at regular price for $3.23 (per 1,000 sheets)! Even if you bought this toilet paper online with a subscription and a Target RedCard discount, it’s $2.70 per 1,000 sheets. That’s STILL more expensive than almost every other option! I’m sure there are sales that lower the price, but there are sales on all of the other brands too. I would never recommend this toilet paper because of the absurd price. Part of how they get away with it is by having very small rolls (165 sheet double rolls) in most of the packages. It looks like you’re getting much more than you are. The quality of Up & Up was pretty good, but the price is insanely high. I included Home Store from Dollar Tree because I had heard that it’s a surprisingly good value for the money at only $1 per package. The price is extremely low, beating out every other toilet paper by quite a bit at only $0.91 per 1,000 sheets. As for quality, it’s not terrible, but I wouldn’t choose it for my own home. It’s thin, a bit scratchy, and not absorbant at all. It was the fastest dissolver, though, so it could be a great choice for those with plumbing issues. My daughter also liked the flower and butterfly pattern on the paper. It was also the least linty. It was similar in many ways to Kirkland Signature, cheaper, and you can have the convenience of buying small packages. 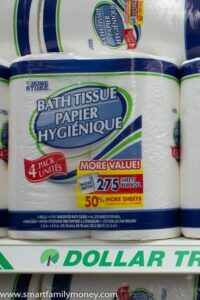 Home Store toilet paper from Dollar Tree is not fancy, but it’s an excellent value if you only have $1 left for toilet paper! My experience with Kirkland Signature toilet paper is what started this whole series. I had heard some rave reviews and wanted to give it a try. I personally disliked it and felt stuck with a giant package of it. It’s no surprise, then, that I gave it a low rating for comfort. I found it thin, not absorbant at all, and not very soft. My husband, on the other hand, really liked it. He thought it was strong and soft and liked its lack of lint. He also liked that the sheets tear neatly. Among folks that I’ve talked to, everyone seems to either love it or hate it. For those who do love it, it’s an excellent value. 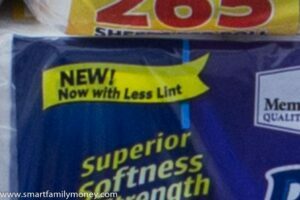 It’s the 2nd least expensive one I tested, after Home Store from Dollar Tree. Kirkland Signature toilet paper is an excellent value for the money IF your family likes it! 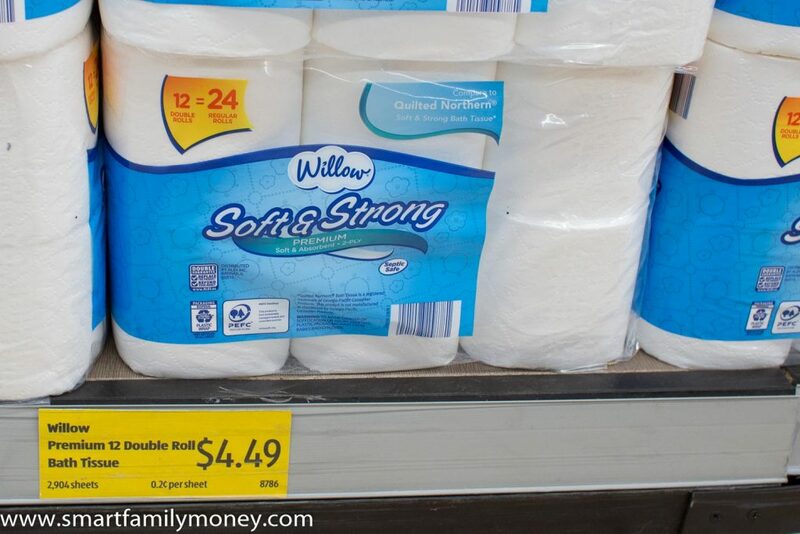 I really like the feel of Great Value Ultra Strong toilet paper. It’s thick, soft, and very nice. It even dissolves lightening-fast! It might be my top choice, except for two things: price and size of the rolls. 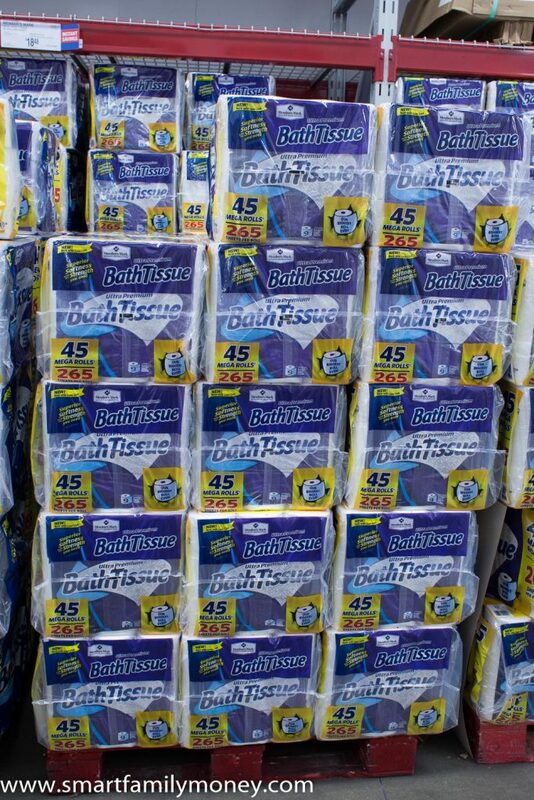 The largest roll size you can buy anywhere is double rolls, which have 165 sheets. That’s REALLY tiny compared to all the other brands. In a high-traffic house like mine, I’d be changing rolls every day or possibly twice per day. Also, the least expensive package comes out to $2.48 per 1,000 sheets. That is more expensive than everything except for Up & Up and Charmin. 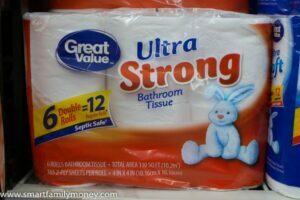 Great Value Ultra Strong is a very nice, high-quality toilet paper, but the price is not great and the rolls are tiny. I love Aldi and I’d tried most of their items, but I had never tried their toilet paper before. I’m glad I gave it a chance for this test. It’s not my favorite toilet paper, but it’s pretty nice. It’s also an excellent value for a toilet paper that you can buy in small quantities without a warehouse club membership. It’s strong and very dissolvable. It’s not very thick or soft, though. I don’t think any Charmin lovers would be impressed with it. If you’re a fan of Kirkland Signature and don’t want to buy the giant package, this toilet paper feels very similar and it’s almost as good of a value. Willow Soft & Strong is an excellent value for a small package. It’s not a luxurious toilet paper, though. When I was researching for this article, I surveyed people about their favorite brands of toilet paper. The rave reviews for Member’s Mark were overwhelming! While every brand of toilet paper seems to have some people who hate it, no one who tried Member’s Mark seemed to dislike it. One woman did mention that she felt Member’s Mark was too linty, but the current package mentions that they’ve recently reduced the lint. Personally, I have nothing bad to say about Member’s Mark! I think it’s soft, thick, and comfortable. My husband didn’t rave about it as much as I did, but he finds it acceptable. He slightly prefers Kirkland Signature. It’s stronger than Charmin Ultra Soft and softer than Charmin Ultra Strong, making it the perfect balance. It feels as high-quality as Charmin, but dissolves MUCH faster (15 seconds vs. 90+ seconds). The price is also excellent compared to most brands, but it is significantly more expensive than Kirkland Signature ($1.72 vs. $1.25 per 1,000). Apparently, Member’s Mark now has less lint than before. I am kind of in love with Member’s Mark toilet paper! Luxury at an excellent price. If you’d like to see the results of my testing in one place, check out my spreadsheet. Note that there are tabs for the results of price, strength, dissolving, and absorbency tests. As I discussed in my post about prices on Cottonelle toilet paper, Cottonelle’s price is actual quite good and competitive with the generics. They are both more expensive than Cottonelle. Up & Up was even more expensive than Charmin! While I liked the quality of both, I think there are much better values out there. I thought both of these brands were inferior quality and I would not care to use them. White Cloud was also expensive, in addition to being low quality. Home Store could be fine in a pinch due to its low price, but I doubt anyone would prefer it for every day. How Much Could I Save by Switching Toilet Paper? Since we were already buying Cottonelle on Amazon, we are not personally going to save a lot by switching. 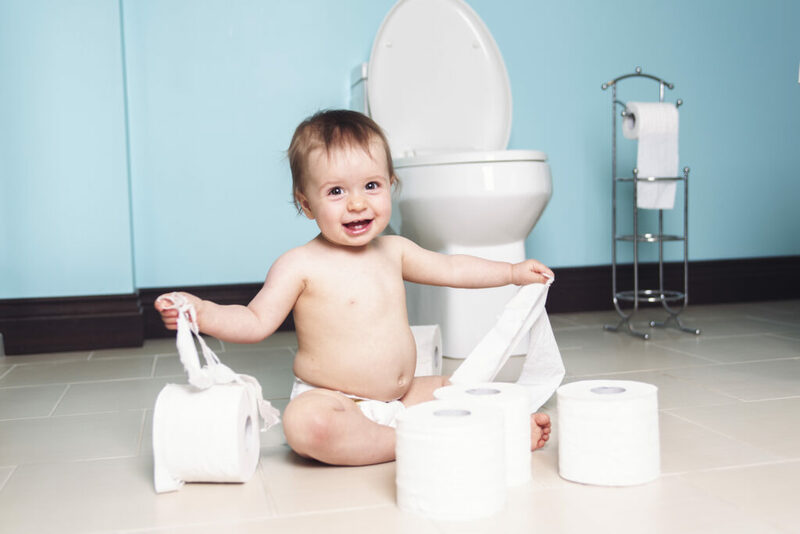 If your family was buying Charmin at the grocery store, you have the potential to save up to $200/year by switching! What Am I Going to Do With My Giant Stack of Toilet Paper? We kept some of the toilet paper and donated some to the local food pantry. Food pantries often desperately need toilet paper, as it’s an essential item that’s generally not covered by public assistance. I checked with my local pantry to make sure that open packages were OK to donate. They explained that they open the packages anyway to distribute 2 rolls per family, so it wasn’t a problem. If you do any of your own toilet paper experiments, please consider donating any extra rolls to your local food pantry. 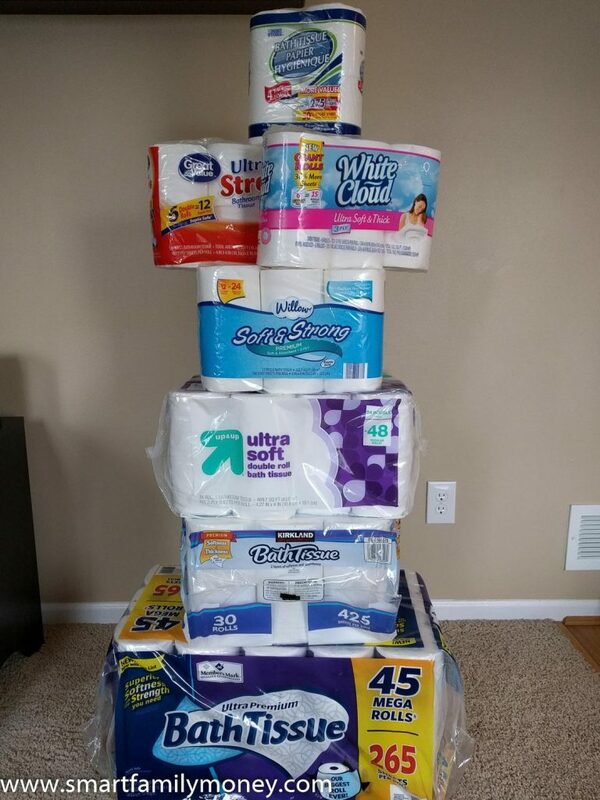 I donated half of my stack of toilet paper to the local food pantry. 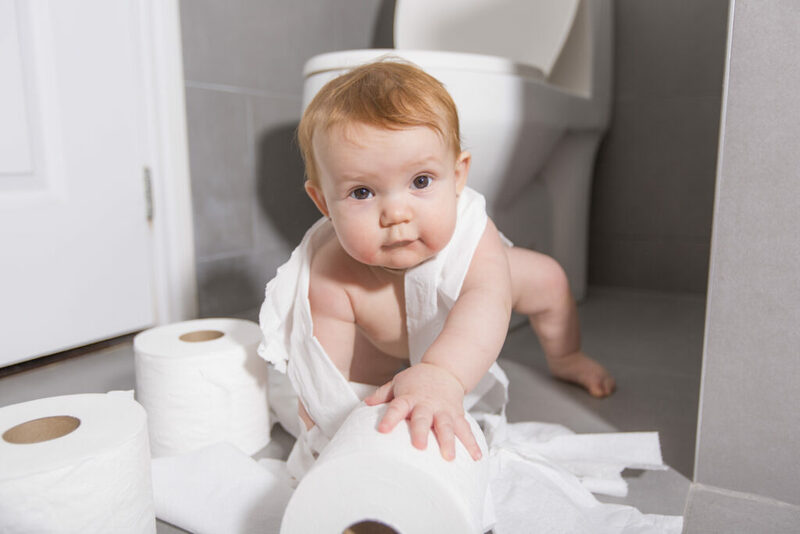 Which Toilet Paper Brand Will I Choose for My Family? We are well stocked for a few months, but I am not sure what we’ll do long term. Member’s Mark was the clear winner for me, but we are not Sam’s Club members. Since I am enjoying my Costco membership, I don’t think I will spend the money to get a Sam’s Club membership too. 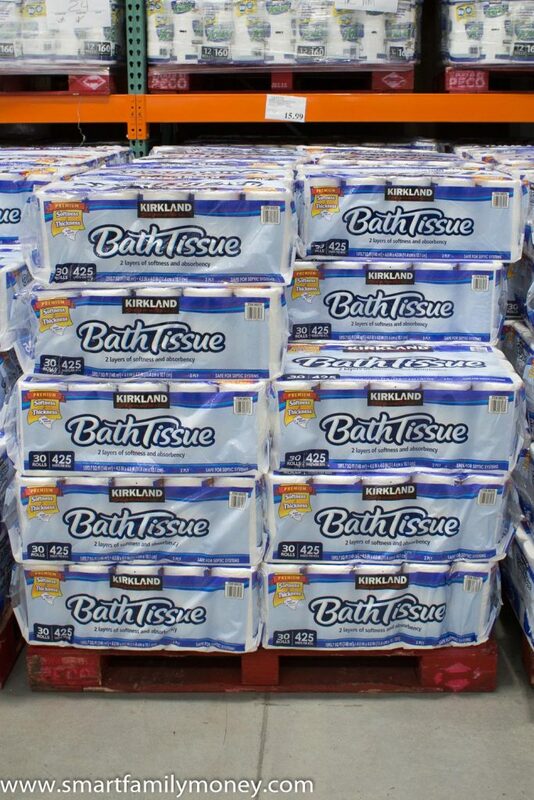 My mother-in-law is a Sam’s Club member, so I may ask her to buy me some toilet paper a few times per year. If I’m lucky, maybe she’ll buy me some for Christmas and my birthday! Just kidding! I may also continue to buy Cottonelle from Amazon for my family because it is a good value. Kirkland or Willow brands are both OK and could save my family money. The amount I’d save with those brands is not enough to make it worth the reduction in comfort, though. Member’s Mark is the only one I’d consider switching to long term. It’s both higher quality AND lower price than Cottonelle. Can I Buy Member’s Mark Toilet Paper Without a Sam’s Club Membership? Have a friend with a membership buy it for you and then reimburse them. Get a free day pass at Sam’s Club and pay the 10% non-member up-charge. Even with the up charge, the toilet paper is still a great value. This is how I bought my test package. It was actually on sale for 10% off when I bought it, so with the up-charge, it balanced out to the regular price for me. You can get information about day passes online or at the service desk at your local Sam’s Club. Shop at a Sam’s Club non-member open house event. I believe you still have to pay the upcharge on these days, though, so it’s not any different than getting a day pass. Purchase it from a 3rd party seller on Amazon.com. The price seems to fluctuate, but the current price is only slightly more than regular price at Sam’s Club. Just do a quick comparison to the Sam’s Club price to make sure you’re getting a decent deal. 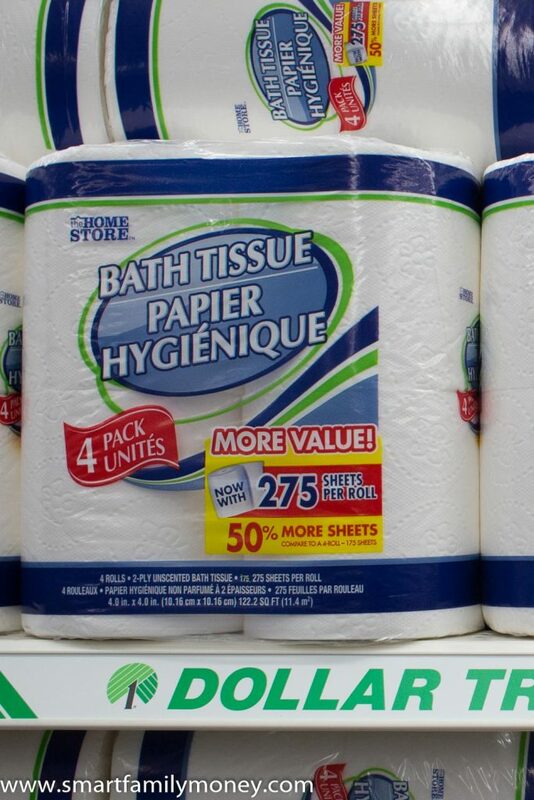 Is It Worth It to Get a Costco or Sam’s Club Membership JUST for Toilet Paper? 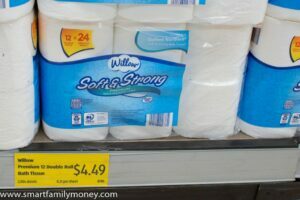 As I showed in my posts about prices on Cottonelle toilet paper and prices on Charmin toilet paper, warehouse clubs can have good prices for toilet paper, but they’re not the only way to save. You would be unlikely to save enough on toilet paper to make it worth the membership price. 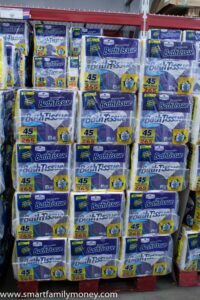 If there were a variety of things you wanted to buy at the warehouse store, then good toilet paper prices would be a nice extra bonus. 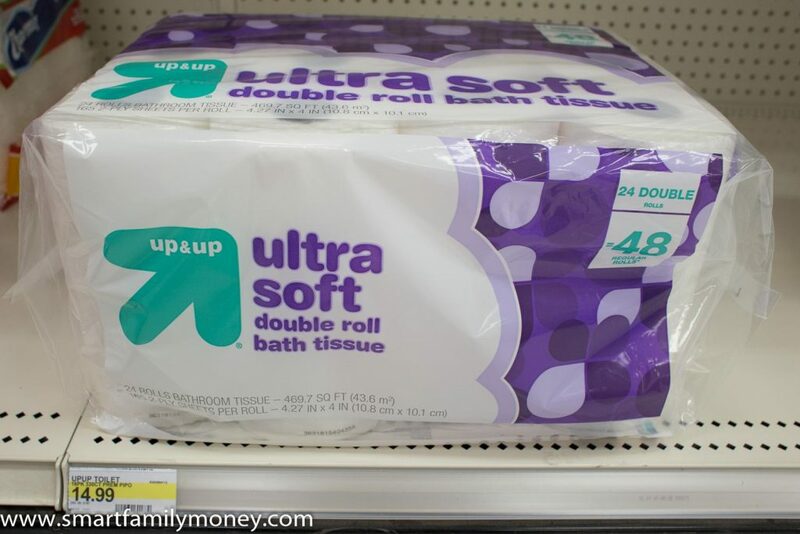 Be sure to check out the rest of my toilet paper series, especially my ultimate guide to cheap toilet paper. Where Can You Buy the Cheapest Charmin Toilet Paper? Very complete study. I need to “absorb” all the information. Ha! Absorb! I am glad you liked it. for all of your hard work. Also thanks for the Christmas gift idea. Ha! I can’t wait to get my Christmas toilet paper! Good thorough analysis, Cindy. Have you tied Presto? I am “obsessed” with watching what Amazon is doing with their rapidly growing private label brands. How’s the quality? The value? I have! I just wrote a post about it! 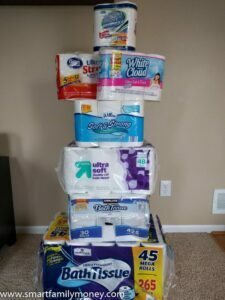 https://www.smartfamilymoney.com/review-presto-toilet-paper-amazon/ Basically, the quality is pretty good. The value is decent, but can’t beat the warehouse brands. Members Mark still beats Presto by a mile, but Presto is a decent option if the warehouse clubs aren’t a choice. Very thorough and plain study. Loved the simplicity of your article. I was looking at Members Mark TP and wanted to see a comparison to other TPs. You provided me with all the info I needed. Thank you.